So it's that time again to push Thy Starter button and listen to the throb-throb-throbbing of those ubiquitous Stuttgart Flat-6 lumps! As we start the 2016 racing season somewhat in earnest, before giving way to the never ceasing screech 'O Taxicab-land from Day-Toner; BARF! Funny Ha-Ha! As originally I thought that Team Seattle was the defending Rolex 24 GT Daytona class champions, as there epic Scrum with the Viper vanguard of Riley & Co for class honours was nawing at Mwah, but instead it was the 12 Hours of Sebring when I'd listened primarily via Zed Internetz' due to the FARCICAL lack 'O Terrestrial television coverage available up here in Thar' Seattle; GROAN! Mario's brother Dominik who was a Factory SRT Viper Pilote', who I should have realized was racing against his brother last year! As he was aboard one of the Vipers going Hammer 'N Thongs' vs. 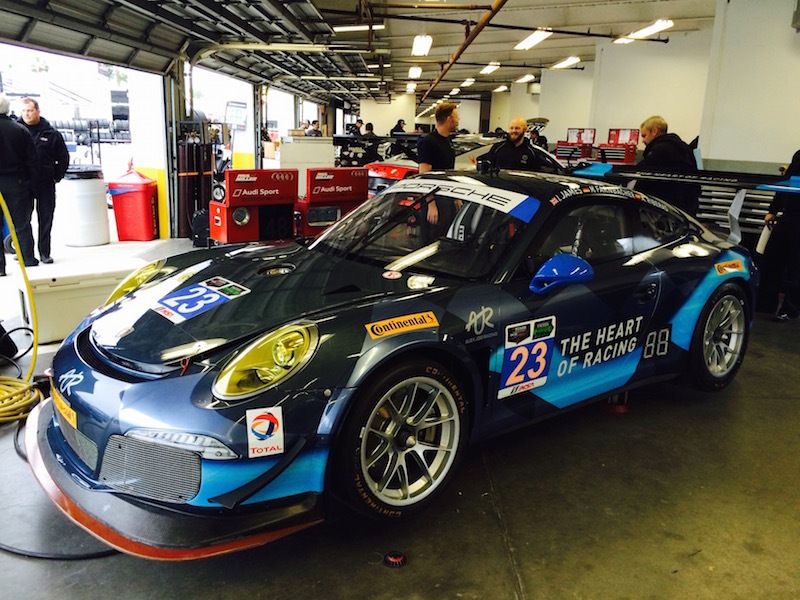 Team Seattle at Sebring and reportedly will co-drive the #33 Riley Technology's Viper in this year's Rolex 24. Once again competing for Riley Motorsports, and was part of the defending Daytona 24hrs GTD class winning entry, the #93 Viper. Ian James and Alex Riberas are current Team Seattle drivers, who co-drove the #23 last year alongside Mario Farnbacher, albeit their Porsche 911 was classified 45th overall, but Did Not Finish (DNF) the race, apparently retiring after 233-laps. Wolf Henzler is a new edition to the driving roster this year and one of 15 Porsche Factory Hot Schues, whose last major victory was apparently the 2013 GT class win at Petit Le Mans. Whilst Team Seattle's Heart of Racing will once again be raising funds for Seattle Childrens Hospital, for which Y'all can check out on the team's Facebook page. Really know very little about the Park Place Motorsports team, other than in a different lifetime ago when I actually could drive, I used to enjoy dropping by their "Pre Owned" luxury car lot then located on Bellevue's Northrup Ave, as NO idea if this is now where the Porsche of Bellevue (Washington) is located? It appears that the only driver left over from last year's entry which finished 35th overall is Patrick Lindsey, an accomplished racer who turned professional in 2007. The biggest name on this year's driving roster has to be Jorg Bergmeister, who's one of the three Porsche Factory "Hired Guns" participating in the GTD ranks along with being a longtime Flying Lizards Pilote. As Bergmeister won the Rolex 24 overall in 2003 aboard The Racers Group's Porsche 911, during the debut season of the Daytona Prototypes era. Interestingly, I've just learned that it was Jorg's father Willi's shop that a precocious German by the name of Michael Schumacher learned the trade of being a Ford mechanic before becoming a famous Formula 1 star. Austrian Sports Car racer Norbert Siedler is a totally unknown racer to Mwah, along with Matt McMurry who's addition to the team was recently announced.